Referencing images of a space ship, the futuristic looking Jet Capsule by Italian designer Pierpaolo Lazzarini was developed in collaboration with Luca Solla from S3, ship supply side. 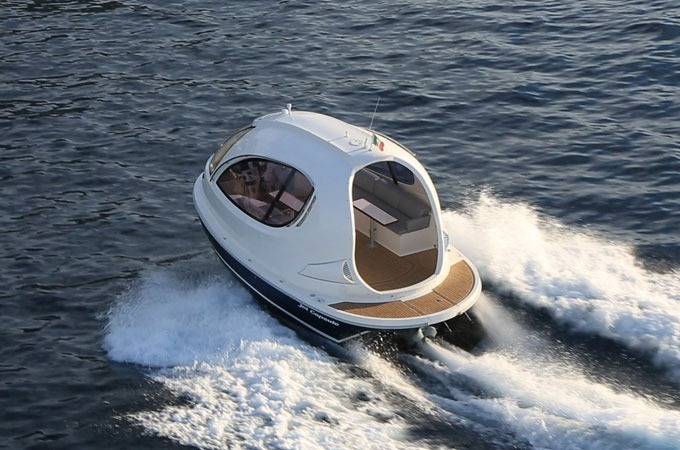 Produced in Naples, Italy the egg-shaped boat features a powerboat hull constructed entirely from fiberglass and also stainless steel handrails. 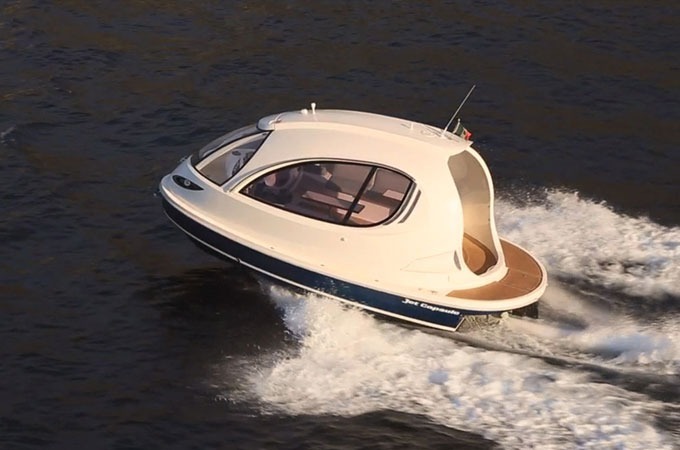 The fun water craft measures 7.5 meters and is powered by a 325-hp Yanmar diesel with a Hamilton waterjet – allowing propulsion speeds of up to 25 knots. 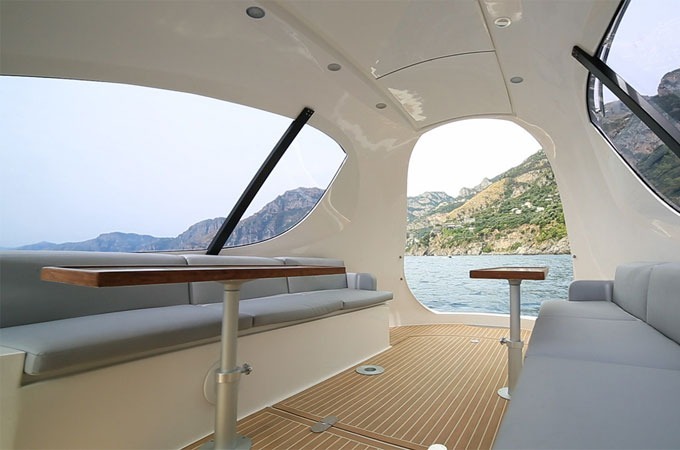 The capsule accommodates enough room to seat four people on each side, with alternate arrangements available. Offering a fully customizable interior, there are a wide range of soft finishes and exterior gelcoat colors.